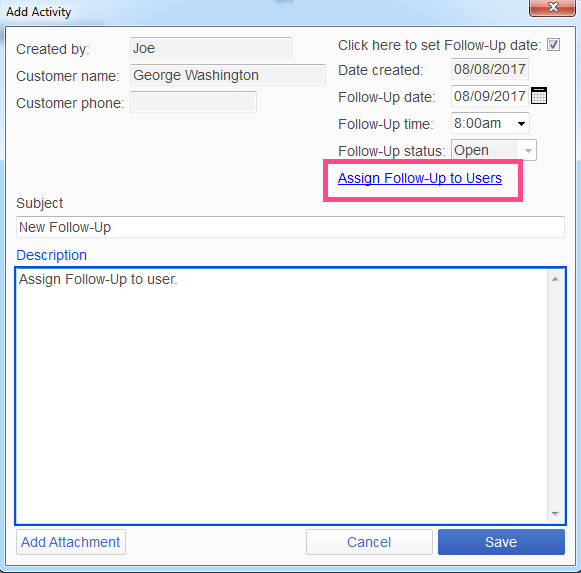 When creating a Follow-Up, IBQ now offers the ability to assign the Follow-Up to other users in the office. 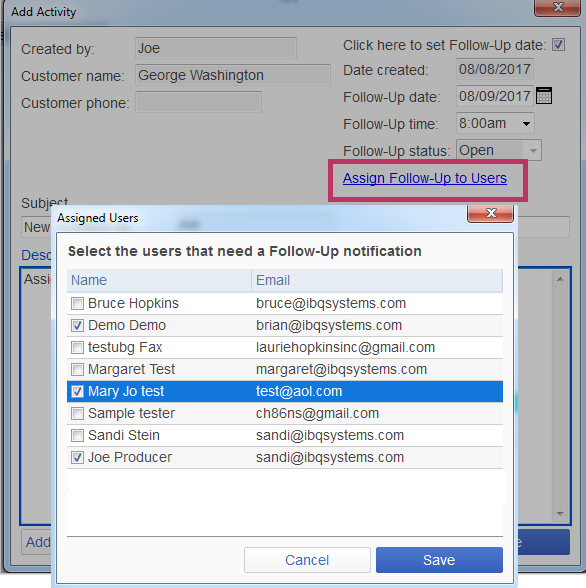 Just click on the “Assign Follow-Up to Users” link – which then displays all active users within the agency. The user can add as many people as needed, or even de-select themselves. Every user selected will receive an email from IBQ with an updated calendar attachment. If the users’ have Outlook integrated with IBQ, a calendar item will also be automatically created in their Outlook calendar. FOR MORE INFORMATION CLICK HERE FOR OUR HOW DO I? OR CALL SANDI AT (509) 984 – 1110 EXT 204.